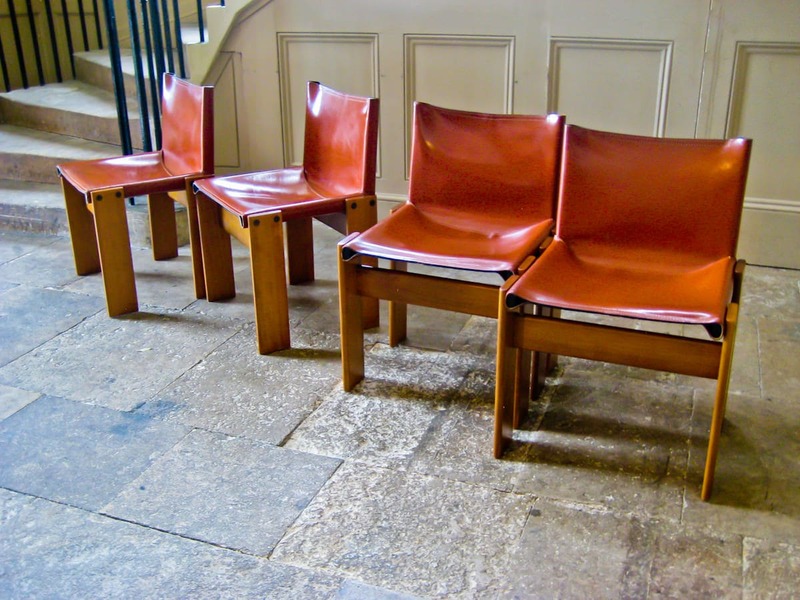 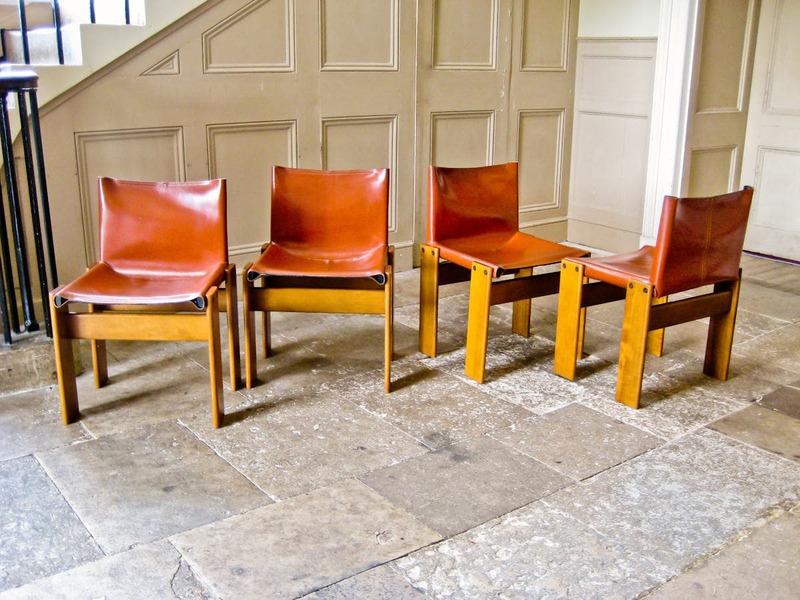 An original set of four Monk chairs designed by Tobia Scarpa for Molteni Italy, in terracotta saddle leather and walnut. 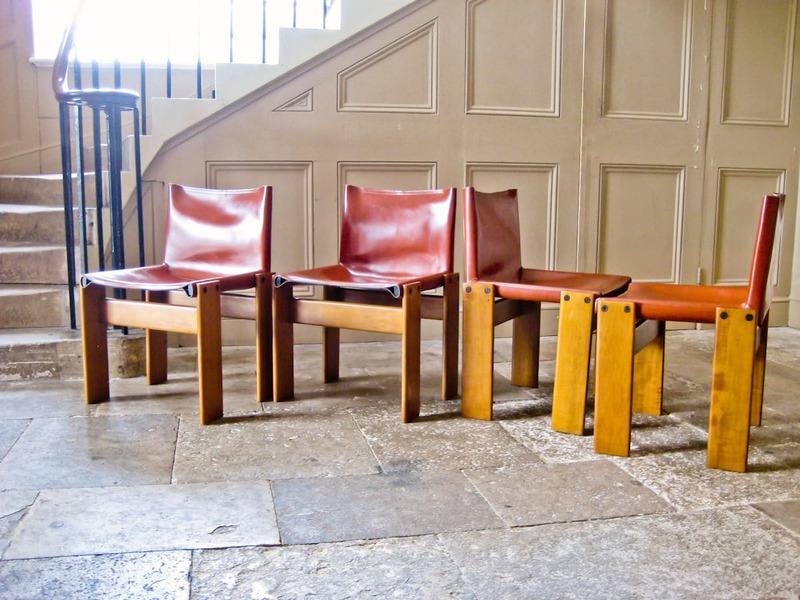 Straight upright seat back and flat seat both in saddle leather flanked by wide thin legs in walnut, all in an excellent original condition. 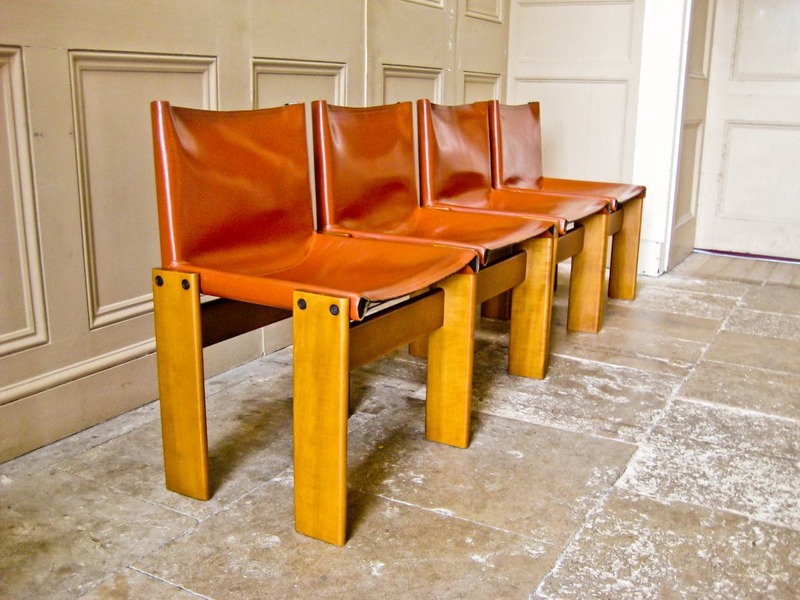 A beautiful and simple cutting edge design from Tobia Scarpa, a highly innovative Italian designer. 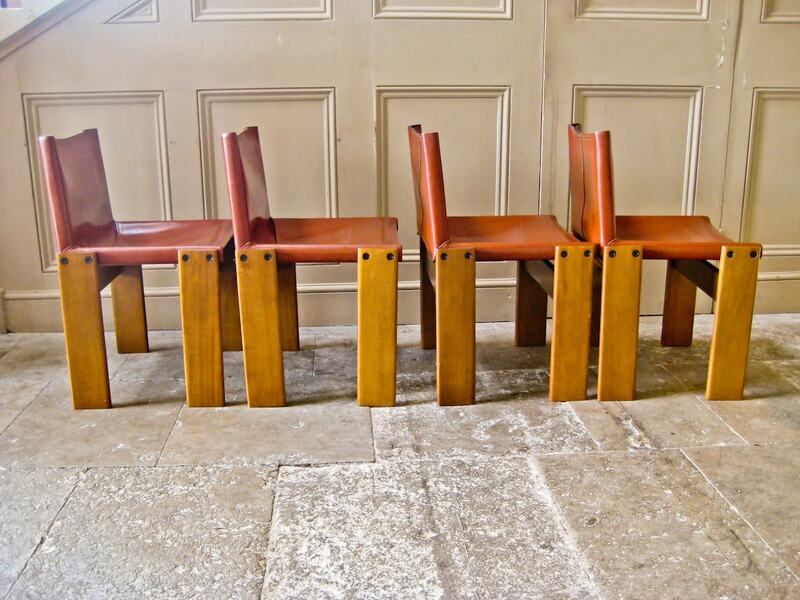 The leather has aged nicely and there is a rich colour and patina to the walnut that make these Monk chairs sought after today, a statement piece for any interior.